WordPress the world simplest CMS to create a website. With the power of plugins, you can achieve all kind of functionality. BuddyPress is the best plugin created by WordPress top developers, to provide a community and social network feature on a WordPress site.BuddyPress helps you build any kind of community website using WordPress, with member profiles, activity streams, user groups, messaging, and more. Being an open source plate form there are several free BuddyPress plugins and premium BuddyPress plugins to extend its features. 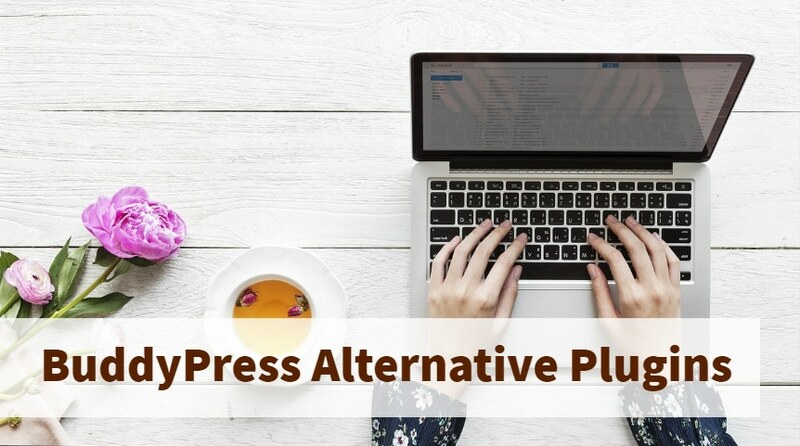 We are going to talk about BuddyPress Alternative Plugins, as there are some premium and free plugins which provide the most of the common features, and have teams to provide support for it. 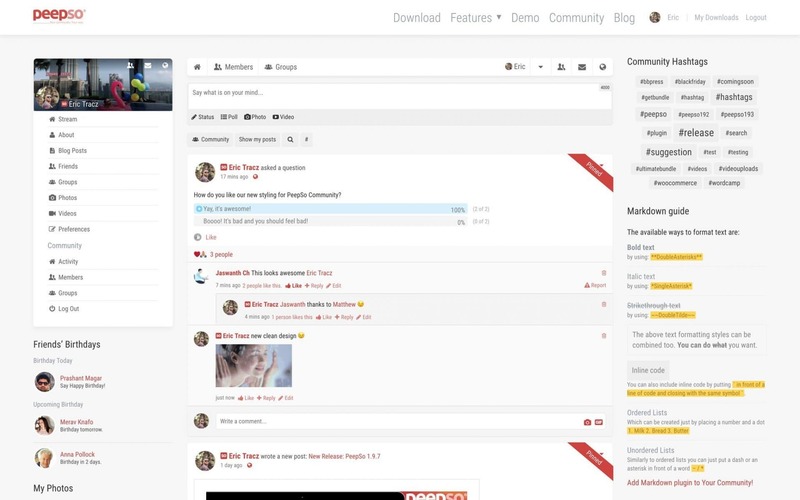 PeepSo is the complete community solution for WordPress. It had worked to advanced all the features in basic BuddyPress along with several others. Activity Stream: Activity Post, Privacy (PublicSite Members, Only Me), Nested Comments, Like, Moods, Posts sharing, Pinned Posts, Location, Tag Other Users. Notifications on profile and via email: Comments, Post Like, Profile Like, Post Comment, User Reply Comment, Comment Like, User Tagged Email, Profile Post, Shared post. Widgets: Peepso has some cool and useful widgets. PeepSo Profile Widget: Shows user’s notifications, avatar, profile and community navigation. Latest Members Widget: Shows the newest community members, displays their avatars. Online Members Widget: Shows members who are online at the moment. Integration: Peepso has several Integration Plugins. Peepso is free to use but for all the add-ons and get complete strength. Ultimate Member is another great plugin for creating user profiles and memberships on your WordPress website. You can easily let your users sign-up and become members with the help of this plugin. You can also create stunning user profiles as well as amazing online communities and membership sites. This plugin is a lightweight and highly extendible plugin with a lot of useful features. Restriction of Content and a lot more. Thus, Ultimate Member is a complete plugin in order to help you create a social networking site of your own with WordPress. This plugin is considered as the ultimate social network plugin for WordPress websites. It gives you options such as profiles, activity, forums, email alerts,friends and a lot more. WP Symposium Pro is the best plugin for schools, clubs, gaming sites, and dating sites etc. One of the greatest benefits of this plugin is it works nicely with almost every WordPress Theme. It is massively customizable and allws you to customize your netwrok with many options. The basic pricing of this plugin is free but you can also extend the functionality by getting extensions plugin. Extensions include Private massages, groups, forum subscriptions, share activity etc. User Pro is another great BuddyPress Alternative plugin for creating user profiles and communities instantly. 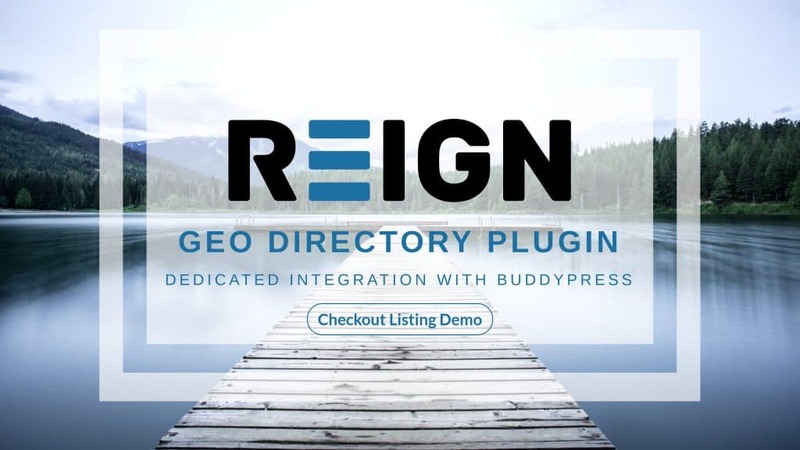 This plugin gives you options such as Customizable Login and Registration forms, Member Listings and Layouts, One-click social media connect, badges and Achievements. Some other amazing features of this plugin include Viral Marketing, Content restriction, Verified accounts,Multiple member list displays and more. This plugin gives you follow/unfollow feature, Social activity stream, Member Directory Search and is completely customizable with ready to use skins, Font Awesome icons and Unlimited google fonts. You can also integrate User Pro with plugins such as WooCommerce, MailChimp, Aweber, bbPress and more. Thus, there are a number of plugins that can help you to create a complete social networking site with WordPress. If you do not wish to go with BuddyPress then you can definitely choose one of these. These plugins give you the ultimate power to launch a stunning online community website of your own. We hope you enjoyed this article on different BuddyPress Alternative Plugins. If you have any suggestions for us, please let us know in the comment section below!